What is this Bootcamp about? Why Arduino in STEM teaching? | What will you learn? | Testimonials | What will you need? We deliver all Bootcamp content online. We use email to coordinate tasks and give reminders, the Tech Explorations online school to provide content and Zoom for the coaching sessions. Through email, we will coordinate your study. All study materials are a click away. Each day brings you a single topic, to protect you from information overload. 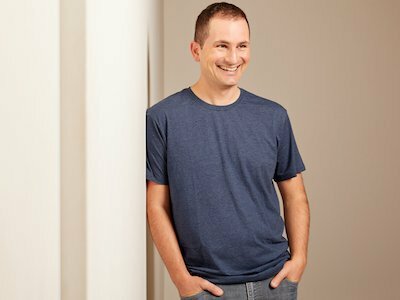 Dr Peter Dalmaris has been teaching online Arduino courses since 2013 and has helped over 55,000 students from around the world to enjoy tinkering with electronics. He understands the challenges of starting new and will help you in your journey. Peter will be your coach during group and individual coaching sessions. Our team will be available to assist you through our Help Desk. We will make sure that you get the help you need no matter where you are in the world. As a Bootcamp participant, you will receive coaching via live Zoom video (if scheduling permits) or personalised, pre-recorded video. Our coach and teaching assistants review all of your project work and offer constructive feedback. In addition, our coaching team is available to help you at any time via the Tech Explorations help desk. 23 lecture notes in PDF format. 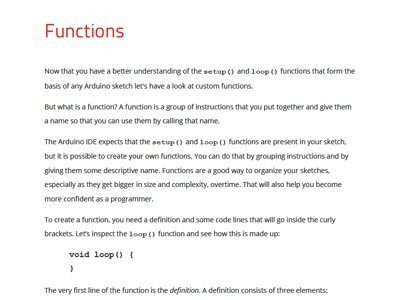 31 Arduino sketches, fully annotated, with schematics. These materials are licensed to you, for use in your classroom. Site licenses are also available on request. The Sprint Mode Bootcamp (SMB) is suitable for participants that can allocate up to 3 hours of study per day in exchange for completing the full training curriculum in 16 days. SMB cohorts are limited to 5 participants, include 2 group coaching opportunities, with an option to opt-in for individual coaching sessions. Participating as an SMB will prepare you to teach Arduino in half the time of the Jog Mode Bootcamp. SMB is ideal if you are in-between terms and looking to skill-up before classes begin. If you are interested about this option, please contact Peter or book a consultation session using the links at the bottom of this page. The Jog Mode Bootcamp (JMB) is suitable for participants that can allocate up to 1 hour of study per day. We reduce the daily commitment by extending the total duration of the Bootcamp to 30 days. JMB participants have access to 2 group coaching sessions per week. Cohorts are limited to 20 people. JMB is ideal for people that prefer a slower pace of learning, that want to integrate this training with their regular daily schedule, and are looking for a more affordable option. Learning, testing and doing activities alternate to help participants achieve deep understanding of the content. Both SMB and JMB participants will receive the same classroom resources kit at the end of their training, and the same dedicated support from our team. We know that you may not be able to make this Bootcamp fit with your schedule in Jog or Sprint mode. So we have created the Arduino Bootcamp for Teachers "Relaxed Mode"! In relaxed mode, we can work with you to create a schedule that works. In relaxed mode, the Bootcamp starts when you are ready, and ends when you have completed all projects, as long as the total duration does not exceed 60 days. You can discuss your requirements by booking a consultation meeting with Peter (access the booking form using the button at the bottom of this page) or send us a message via the Help Desk. 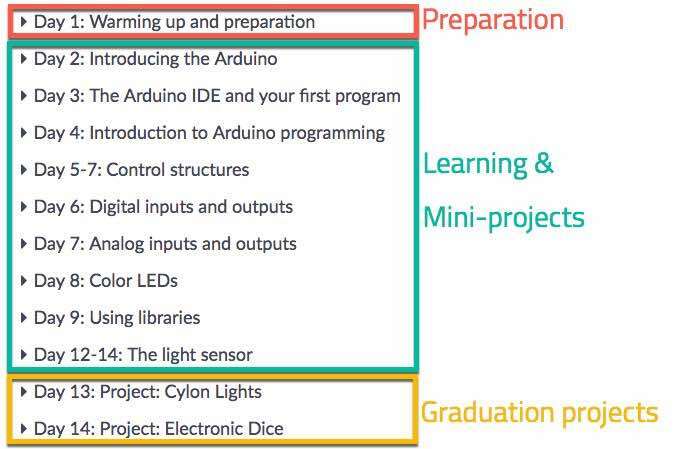 We have designed the curriculum for teachers who have never used the Arduino in the past. Many of our students have no programming experience. the development of practical skills through the development of a project portfolio. Please watch this video to learn more about the Arduino Bootcamp for Teachers curriculum. To create the best possible online learning experience, we have organise this Bootcamp around a few tools. Chances are that you are already familiar with them. Email, to send you notifications, and especially information on your daily tasks. The Tech Explorations school, where you will find the videos, downloadable lecture notes, quizzes and links to other resources. Zoom, for conducting our group and individual coaching sessions. The Tech Explorations Help Desk, where Bootcamp participant tickets go to the top of our queue. You choice of Cloud file sharing service, like Google Drive and Dropbox, for sharing your project work with us. 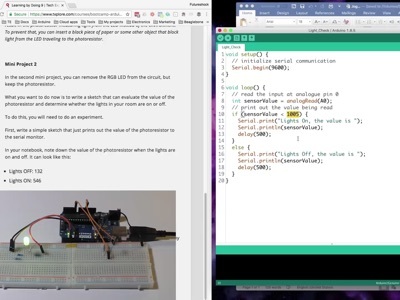 Please watch this video to learn more about the tools that we use in the Arduino Bootcamp. We are so confident that you will achieve our Arduino Bootcamp for Teachers goal, that we are prepared to back our promise with a Guarantee. If you complete the Bootcamp, and have followed all of our instructions and completed all of the tasks as prescribed by our curriculum, but don't feel confident enough to teach it to your students, you are welcome to repeat the training with our next intake. Please watch this video for a summary of the Bootcamp, and to learn more about the our Guarantee. Before you book, please ensure that you have the required hardware to avoid interruptions resulting from not having the right parts when you need them. The Jog Mode Bootcamp also requires a small amount of preparation work. You should allocate 1 hour prior to the Bootcamp Jog Mode start date to complete this work. An example daily schedule of the Jog Mode Bootcamp is available. Group coaching sessions will be finalised on the day that the Bootcamp starts. The exact days and times will depend on the location (time zones) and availability of the participants so that as many of them as possible can participate in at least one group coaching session per week. We will aim to allocate group coaching sessions at two different time zones, twice a week. If it is not possible to find a suitable time for group coaching sessions, we will provide individualised coaching through the Help Desk and pre-recorded videos. Go to the curriculum page. Choose the mode and start date. Once you complete this process, we will acknowledge, and help you prepare so that you are ready to start on your selected start date. The short answer is: No, unless you request it at least 7 working days prior to the start date of your Bootcamp. Unlike our self-paced courses, when you enrol to a Bootcamp you trigger a process that has a relatively high cost. Our instructors and other team members must allocate time to assist you. Their time, like yours in valuable. Once we have provisioned them to you, it is costly to make changes. Our infrastructure is also costly, and it is dedicated to serving Bootcamp participants before anyone else. But the most important reason why we believe that Bootcamp refunds are not desirable is commitment. We want you to think carefully about the value of this training for you and your professional development, and once you commit, to complete it. Why use the Arduino in your teaching? The Arduino has revolutionised STEM education. This single-board device is a multi-purpose tool that educators can use to teach a diverse array of cross-curriculum topics. 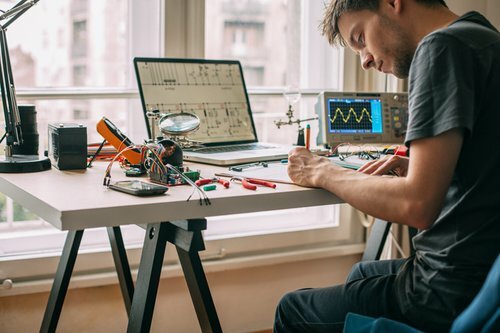 Apart from programming and electronics, the Arduino provides excellent opportunities for learning mechanics, mathematics, music, game design, physics, humanities, science, geography, and so much more. What makes the Arduino such a versatile educational tool is that it makes it possible for students to "projectize" almost any educational opportunity. 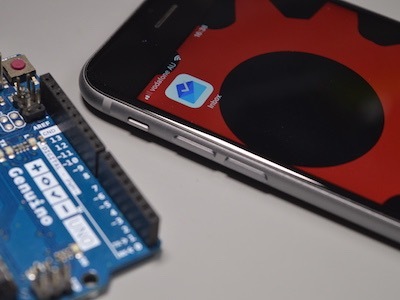 The Arduino is the platform on which various kinds of devices can be brought together and programmed so that students can create a physical outcome of their learnings that goes far beyond a typed report. Imagine a student learning about the journeys of Ulysses. Instead of just writing a report, she can create an interactive light and sound show, which includes a visual representation of Ulysses's legendary journeys. In reaching this outcome, the student will learn much more than history. They create a storytelling artefact that encompasses all their learnings. In this bootcamp, you will learn basic programming skills in and how to use common components with the Arduino. With this knowledge, you will be able to guide your students through an impressive set of projects. Apart from the daily mini projects, you will also apply them on two more comprehensive major projects at the end of the bootcamp. "In all, I recommend this class. In particular I recommend it if you have a basic understanding of electronics but may be a bit rusty. Do the words: LED, Diode, and Resistor have meaning to you? If you said yes then you passed that test. The same with programming skill, if you can form a single sentence that uses both the word “code” and the word “instruction” then you are ready. 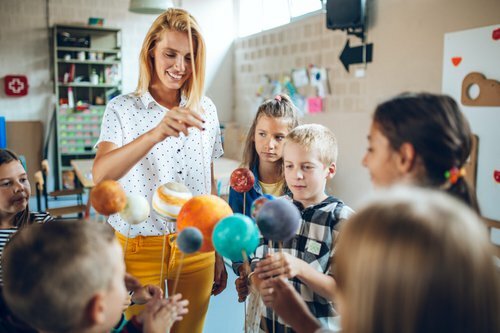 It is worth the effort you put into it and you will be better prepared to introduce your students to programs the take information from, and act on, the world outside of the computer. And, it is fun." 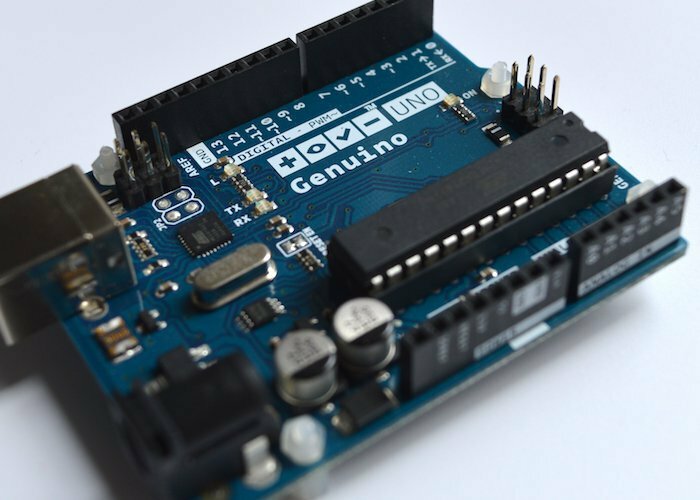 Why not just enrol in Arduino Step by Step? 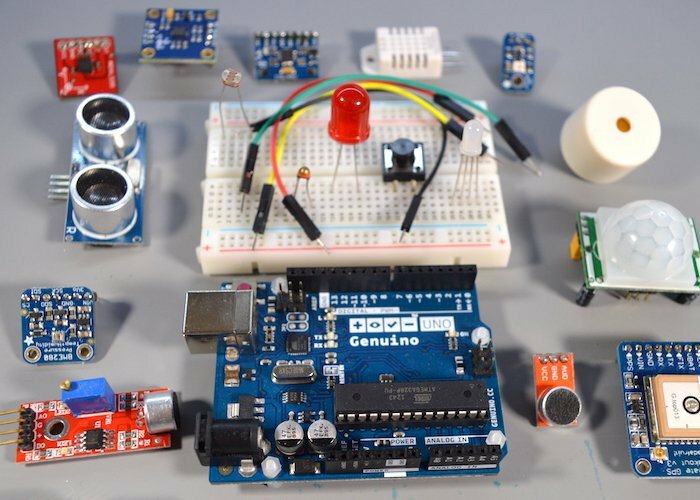 General hobbyist courses, like Arduino Step by Step, are excellent if you need to learn about how to use specific components so that you complete a gadget on which you are working. Our statistics show that only 10% of people enrolled in a hobbyist course will complete it. That is true across the online education industry.For hobbyists, completion is not a required outcome. When it comes to professional development learning, a hobbyist course is not the best option. The stakes are much higher. In professional development, not only the learner must complete the entire course, but this must be done in a timely fashion, and at a mastery level. 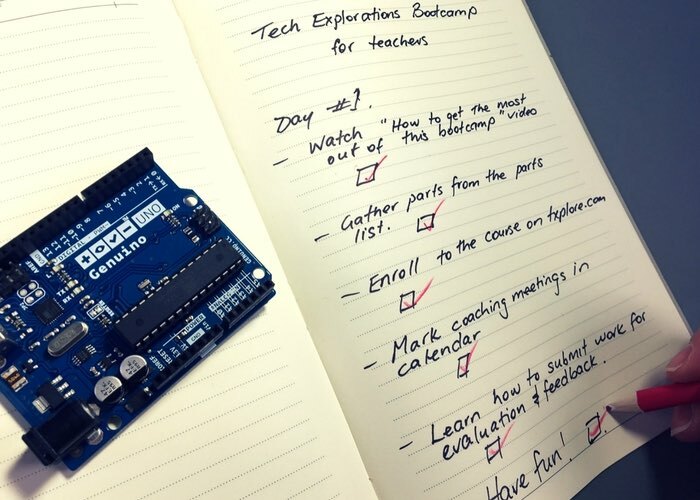 Unlike Arduino Step by Step, our Arduino Bootcamp for Teachers is the only course that guarantees that you will be able to teach Arduino to your students and that you will be able to do this after just a couple of weeks of concentrated and assisted study. Do you need tools and components? Yes. You will need a computer, an Arduino Uno, and a few simple components like resistors, LEDs, prototyping breadboards and wires. A detailed list of those components is available here. You can purchase these components from many online retailers, including Amazon. To avoid delays in delivery that can impact your participation in the Bootcamp, please source these components well in advance of your Bootcamp start date. To make the most out of your investment in this Bootcamp, you must be mindful of the following. First, consider your environment. You will be entering a demanding learning program that will stretch you cognitively and psychologically. You must prepare yourself for it by making the necessary adjustments to your environment (especially family and work commitments). Second, make room in your schedule. Each Bootcamp day, you will need to allocate between 1 and 3 hours to the various tasks (depending on the Bootcamp mode you have chosen). Each day you will need to complete and submit all assigned tasks before you can move to the next day. Tasks include watching a video lecture, submitting a quiz, working on a mini-project, and participating in live group or individual coaching sessions. Is this Bootcamp right for me? A person who wants to deliver Arduino training to their local maker club, library, or community. 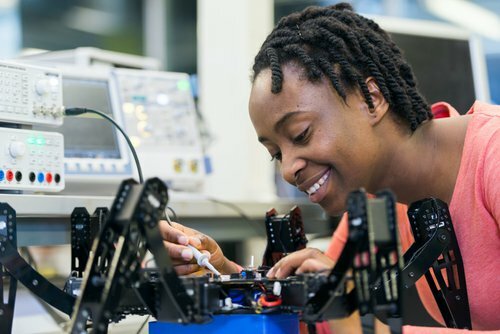 We do not assume that a Bootcamp participant will have any prior knowledge of electronics, programming and micro-controllers. However, we do expect that they are able to use a computer with confidence, install applications, and use the Internet to conduct research. Our main tool for communication is email. For video communication, we use Zoom, a very efficient way to conduct meetings with multiple participants, share annotated screens, and record our sessions so that participants have a complete record for their reference. Before approving your entry application to the Bootcamp, we conduct a 30-minute online meeting to discuss your specific objectives from the Bootcamp and to ensure that we can meet your expectations.